Santa can't wait to visit your house with a stocking full of goodies. 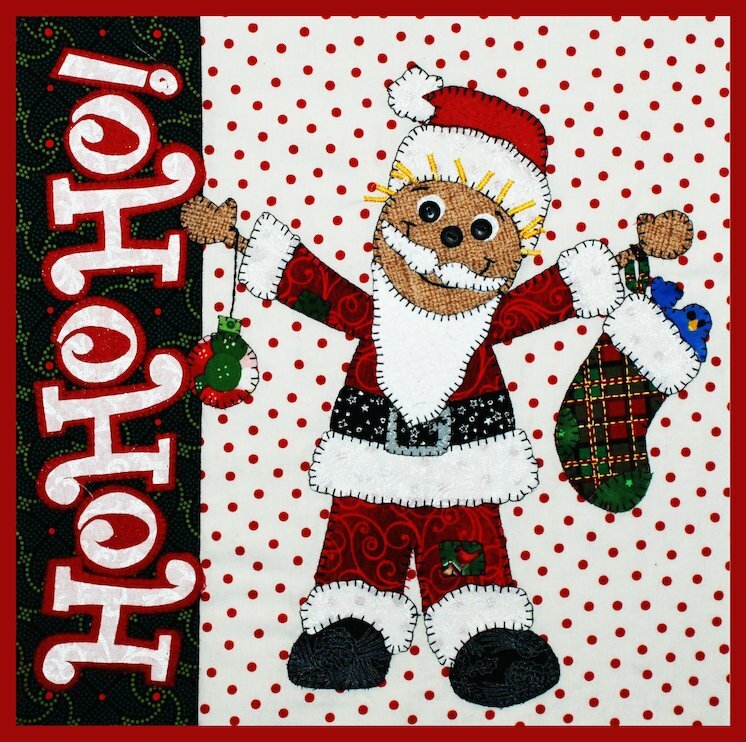 This adorable scarecrow, all dressed up like Santa, cant wait to be a part of your holiday decorating. Designed for the wire hanger or sew together with others in the series and make a wall quilt. 12"x12"